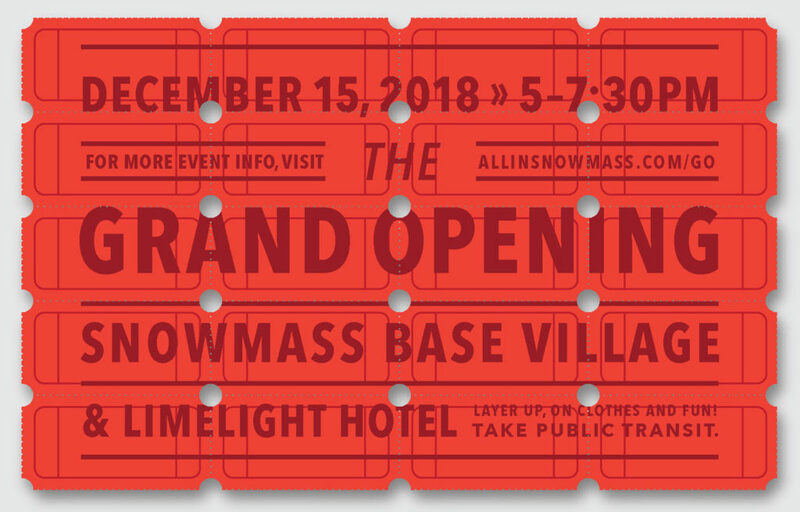 The Grand Opening of the new Snowmass Base Village is almost here! Mark your calendars for Saturday, Dec. 15 and celebrate the future of Snowmass with us. The Collective Snowmass (Building 6) will be open from 5 to 8 p.m. with a pop-up holiday market featuring gift items and more from lululemon, Holly Ann, Woodland, The Gibson Collective, Anderson Ranch Arts Center, All Things Sweet, Scout and Cellar and more. Click here for details. Dress warm and ride public transit! All are welcome!